A cat just back from the vet after being sedated for a procedure. If you canâ€™t sue the system, sue yourself. 1995, Robert Lee Brock sued himself for $5 million. He claimed that he had violated his own civil rights and religious beliefs by allowing himself to get drunk and commit crimes which landed him in the Indian Creek Correctional Center in Virginia, serving a 23 year sentence for grand larceny and breaking and entering. What could he possibly have to gain by suing himself? Since being in prison prevented him from having an income, he expected the state to pay. This case was thrown out. 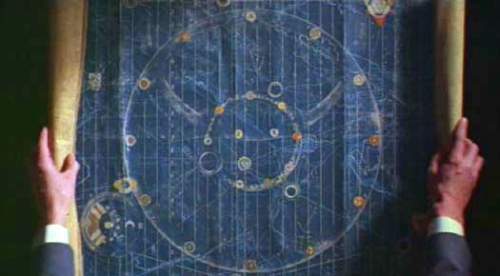 I have always wanted a copy of the map from Time Bandits. I recently decided to create my own replica of this exquisite prop. I have studied the film and every printed reference source I could find to create this replica and it is very accurate to the screen-used map. It has been drawn completely in Photoshop with the goal to create a replica that looks hand-drawn. The file is enormous containing 188 layers with a file size of 1.72 GB. This level of fine detail is replicated using the highest quality printer available.